Yuzuru, I read your notes, I agree with most of them. Planets within 15 deg to Sun are invisible. Does it mean their action are invisible as well? Your opinion is that such a planet can not be a ruler of action. But I found out many natal charts disagree. For example, people who have in their charts Mercury very near Sun (ecpecially if the Sun does not see another planet) are very thinking, talkative, quick. They express exactly the nature of Mercury, do they not? Mercury does seem to be the exception in cases of Profession/Reputation, a combust to under-the-beams Mercury is considered a fortified significator when delineating the natives Mastery. This doesn't eliminate the need to consider the zodiacal state of both planets and the aspects they receive. Mercury does seem to be the exception in cases of Profession/Reputation, a combust to under-the-beams Mercury is considered a fortified significator when delineating the natives Mastery. Is this a traditional principle or a modern assumption? I am genuinely asking because it seems surprising to me, but it is a long time since I have studied the traditional approach to the assesment of career. I also think that Mercury is generally not as heavily afflicted by combustion as the other planets, because its cycle is closer to and more obviously centred upon the body of the Sun; but on the other hand I never think the combustion is irrelevant or giving fortitude, and wouldn't have thought it helpful in matters of career except in the situations that require discretion/diplomacy or secrecy, etc. Hence this surprises me a little. I'd have to wonder if Mercury in these charts is in fact not combust, being in its domicile, exaltation, or confines? here's where I discussed the difference in combustion when Combustion is involved with a significator of Mastery with Yuzuru. "Mercury as a significator of Profession is in fact fortified by combustion." This is what I'm curious about - whether that is generally reported traditionally. Does anyone have a traditional reference to suggest that Mercury is fortified by combustion? Personally, think it is quite a move from saying that Mercury is not so debilitated by combustion, to suggesting that it is fortified by the condition. I don't think it is even common to find traditional authors reporting that it is least affected - I'm guessing that's a relatively modern assesment. Thanks for answering anyway. I am purely curious. i'll dig out the references for considering Mercury the least afflicted planet when under combustion. Thanks. I appreciate that. I'll take a look at the other thread too. This is Holden version. He adds "not"
That a combust planet can signify is very strange, so I need inquire more....moreover because according Medieval authors Mercury with the Sun is proper to study because it's opposite to action. It would be interesting hearing Dr. Dykes, because he is an expert, and moreover translated the text, or finding other similar quotes. "And if the Sun aspected it or were with it, so that he would even burn it up with his rays, it signifies he is a high master, and of the greatest loftiness, and a writer for kings, and of great value among them, with a noble mastery and much teaching." I'll send Ben Dykes an email but I think he is currently travelling, so probably won't be able to check the thread for a while. How about switching viewpoints from the combust planet to the Sun regarding the chart native? So, regarding qualities of the native himself or herself, rather than questioning whether combust Mercury is weakened we can see how the Sun is increased � takes on qualities and capabilities � through Mercury. Therefore, the native's will and drive toward future personal development (Sun) are increased through the skills of Mercury. We can still regard Mercury as weakened when he is, for example, lord of the 2nd or 7th houses, thereby showing hidden or debilitated states regarding finances and marriage. In this case we are looking away from the native and to the life circumstances. Some hellenistic sources refer to Mercury 'rejoicing ' when synodical with the Sun. More generally, I have found the dispositor of the Part of Fortune often very revealing about career. I saw this thread and thought I'd just add a few words about the Abu 'Ali translation. The Latin text clearly says, "so that he would EVEN burn...". The Latin word is "etiam," "even." It's an intensifying word. In fact the Latin "so that" is "ita ut," where "ita" is also a kind of intensifying and emphasizing word. So that is what the Latin says. It is possible that in the manuscript Bonatti used (I don't have Bonatti in front of me right now), there was an abbreviation which looked either like "etiam" or "non" (not), which would make it ambiguous as to who was right. But one has to ask how the Sun could be "with" the significator without it either being under the rays or burned up. If it were only under the rays, you'd expect the text to say, "so that it is under the rays but not burned up," or something like that. I'm not trying to address the truth of the passage here, but only what makes sense from a translation point of view.
. . . the concept of domicile is also an expression of a planet�s relationship with the Sun. The synodic philosophy is very ancient but it was also at the heart of Arabian and Medieval natural philosophy as an explanation of how planetary influences are passed through 'celestial light'. In a nutshell, all planetary vitality originates from the Sun, which is (as Valens says) �the light of the mind� or (as Paulus says) �The Creator of the whole��. Ibn Ezra puts it beautifully: �the Sun signifies life, for he is the greater luminary and the light of all the bodies�. So even though the combustion process is one that sees a temporarily loss of power, it is not one from which they need �protection� because it is through this process that their power is regenerated. But the loss of visible light is also important, since ancient astrology associates brilliance with power and the loss of brilliance with the loss of power. I've used this quote because it helps focus my initial post of this thread. The relationship is synodic, but these discussions seem to center on the combust planet with little about the Sun itself. If light and vitality is given to the planets from the Sun it seems that understanding the rest of the relationship would require consideration of what the Sun gets from the planets. I could imagine the possibility of ancient thought seeing the Sun as taking back its changed light and vitality from the planets by way of combustion, and thereby taking in the experience of each planet during its recent cycle. The planets are sent out, they return back and inform the Sun � the Sun is strengthened and increased through receiving the experience of the planets. It is said that a god dies when there is no one left to worship him. Similarly, we have in the Old Testament �I the Lord your God am a jealous God�. The Sun/God has its needs. A king needs ministers and subjects who bow and scrape. Maybe the Sun needs to periodically consume the planets in order to take in the now altered vitality that it had sent outwards. Likewise, a person with a combust natal Mercury possibly needs to enter a Mercury-oriented vocation in order to give the Sun what it needs, reflecting what the person needs in order to develop, strengthen and expand. My apologies if anyone has already made this point in either of the two threads. I do get impatient. But the synodical contact is obviously referring to the Cazimi principal rather than the general state of combustion, so I�m not sure that helps this discussion. Thanks so much for the kind reply, it was very appreciated. I found a very good example, this is the way I would read - anyway as I told, for me this method sometimes works, sometimes not and we are obliged to take everything. In this case I think it's a good example of the working example. Mars is invisible and so we can easily discard. Both are in the western side where they are stronger, and both are in their domicile. But Venus is quite fast and visible, while Mercury, very slow, is going to its station in a few days. 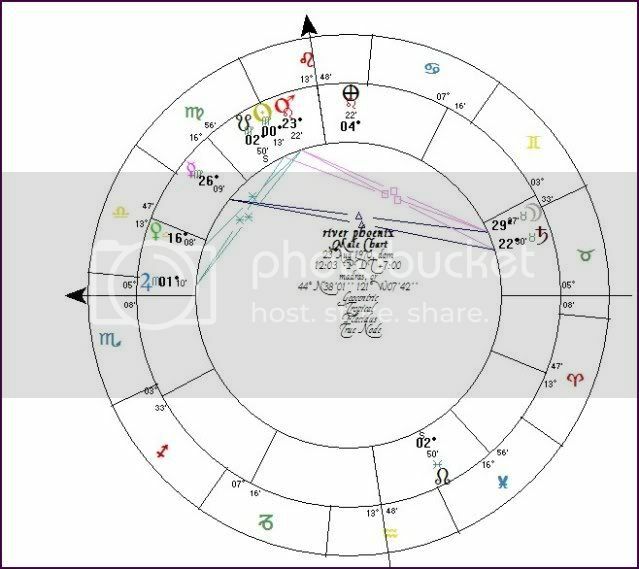 Venus in this chart is very strong, it occupies its sign, in phase to the Sun. Mercury should be invisible because its arcus visionis is lesser than the given value for setting. So here the planet which gives profession is VENUS, which is proper for an actor. Then we can add some note about Jupiter, on the Ascendant, sextile to the Sun, ruler of the MC: which -according Ptolemy- If Jupiter testifies, they will be athletes, wearers of the wreath, persons deemed worthy of honours, and men who derive advancement from women.